Alastra, Jacqueline - Groelle & Salmon P.A. 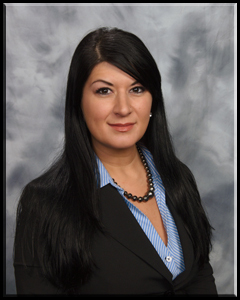 Jacqueline Alastra is a partner in the Orlando office practicing in the areas of first party property loss and property coverage matters. Defending insurance carriers for over a decade, Ms. Alastra has extensive experience regarding all aspects of first party property disputes from inception to resolution. Ms. Alastra has represented carriers for claims related to windstorm, hail, water intrusion, sinkhole, fire, theft, pests, collapse, and mold. She also has experience providing coverage opinions and defending third party liability claims. Before pursuing her career as an attorney, Ms. Alastra worked for a contractor specializing in repairs and restoration associated with insurance claims. Ms. Alastra is licensed to practice in Florida’s state courts, as well as the United States District Courts for the Middle and Southern Districts of Florida. She is also a Florida Supreme Court Certified Circuit Court Mediator. Ms. Alastra is certified by the Florida Department of Insurance as an instructor for continuing education courses. She has been recognized five times as a Florida Rising Star in Super Lawyers Magazine since 2013. In addition, Ms. Alastra is fluent in Spanish and Italian.